First-time homebuyers often think they are ready to sign on the dotted line when they find their savings and monthly income are enough to cover the down payment and monthly instalments of their purchase. What is often overlooked, however, are the additional costs they need to, or may want to, fork out for their new acquisition. Obviously, the most sizeable sum a homebuyer will spend on would be the price of the property itself, which often begins with the down payment upon signing of the sale and purchase agreement (SPA). The down payment — which is conventionally, but not always, 10% of the property price — will have to be paid to the seller. This is applicable for both primary and secondary properties. In the case of secondary properties, the down payment will be less the booking fee paid. According to managing director of Chur Associates Chris Tan, booking fees are not charges, but part of the purchase price which is normally 2% to 3% of the price, and are only allowed for the purchase of secondary market properties. For primary market properties, it is stipulated under Regulations 13 of the Housing Development (Control and Licensing) Regulation 1989 that the “collection of such booking fees is an offence” which can entail a fine and/or imprisonment. It is also stated that for primary market properties regulated under the Housing Development (Control and Licensing) Act 1966 (HDA), no booking fees can be collected. However, what happens if the prospective buyer’s loan is not approved? Can the seller actually forfeit the booking fee? 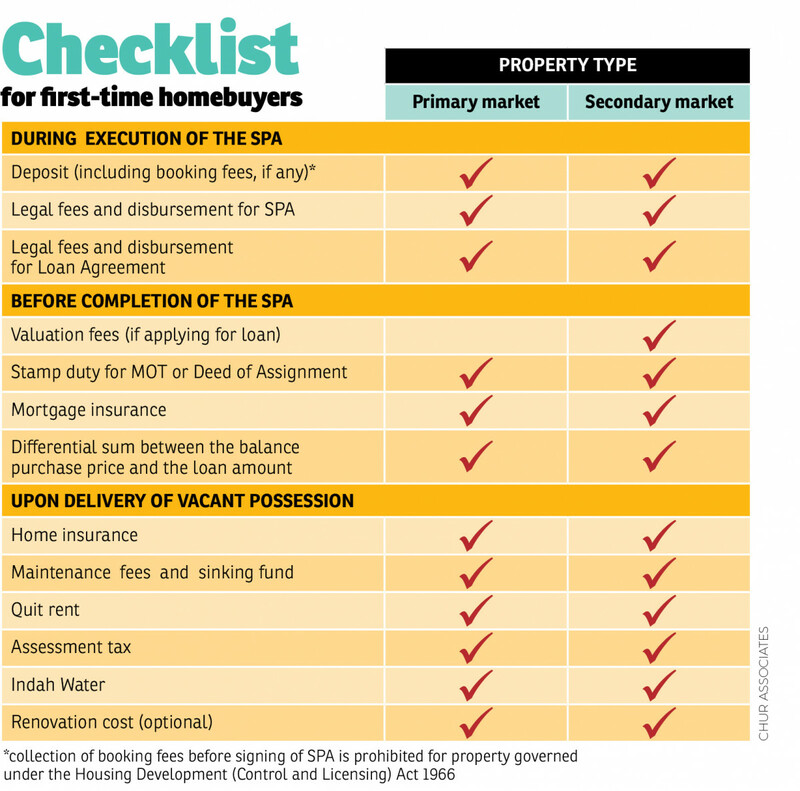 In the case of secondary properties, Tan says it is dependent on the terms of the SPA. As for the purchase of primary properties, Tan says if the purchaser’s loan application is rejected due to his/her ineligibility, the developer can forfeit 1% of the purchase price from the deposit provided the failure to obtain a loan is not due to default or delay on the part of the homebuyer. Otherwise, the forfeiture sum shall be 10% to 20% of the purchase price, depending on the stage of completion of the property and type of properties (build-then-sell, sell-then-build, strata or landed). Therefore, he advises purchasers to check and confirm their loan eligibility before signing the SPA. Following the down payment, the buyer has to be prepared to pay the differential sum between the down payment and the approved loan amount, in case he or she does not get 90% of the latter. After all that however, there are also statutory charges which, after you’ve gone through the list, can be quite substantial. “Normally, the charges for primary and secondary properties include legal fees, stamping fees, land office instrument registration fees, bankruptcy and insolvency searches, land search charges, transportation charges, printing charges, loan documentation fees [if the buyer is taking a home loan], statutory declaration affirmation fees, telephone and facsimile charges and miscellaneous charges,” offers Tan. Some charges differ between a primary and secondary market property. 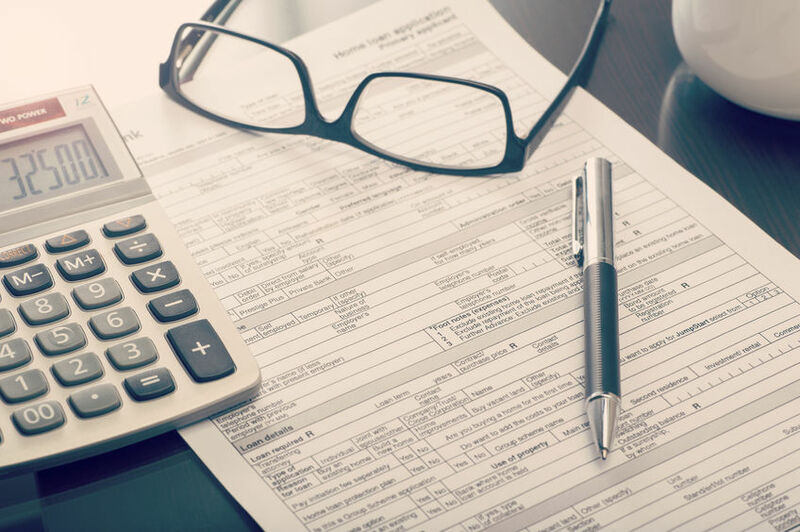 So, if it’s your first time buying a property, make sure you are not blindsided and do set aside some dough for these other expenses. Lawyers charge a professional fee to prepare the SPA and loan facility agreement which will entail the handling of the necessary documents. Tan notes that the legal fees are regulated by a prescribed scale rate under the Solicitors Remuneration Order, based on the purchase price set in the SPA. 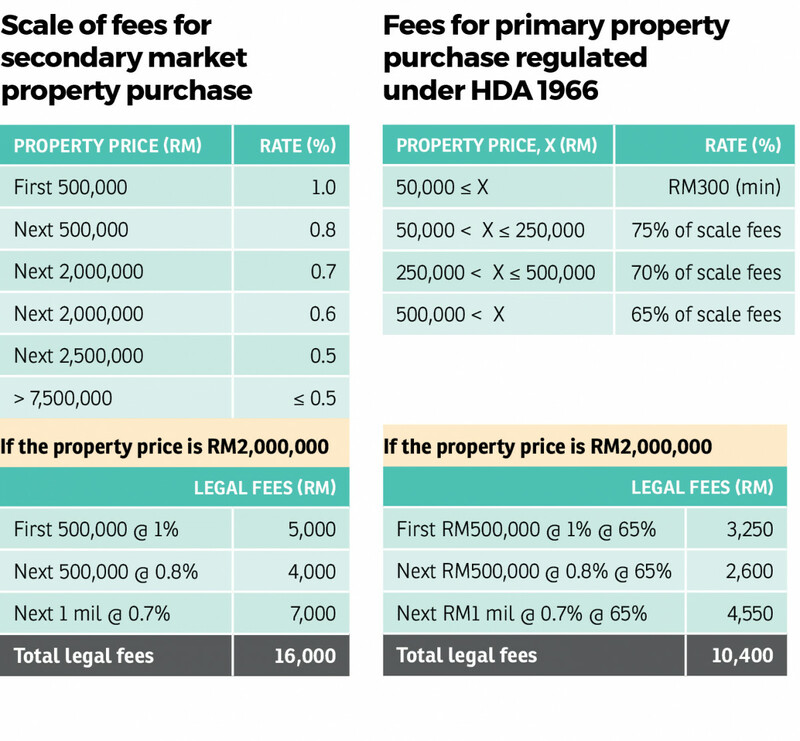 One must also note the way fees are calculated for primary property purchases. The rate of legal fees is the same for all the states in Peninsular Malaysia but the legal profession in the Borneo states are regulated differently under the respective states’ bars. The MOT is a transfer instrument under the National Land Code 1965 for transfer of ownership from the seller to the buyer after the signing of the SPA. “Nevertheless, the MOT is only applicable for transfer of property of which the individual title/strata title had been issued. 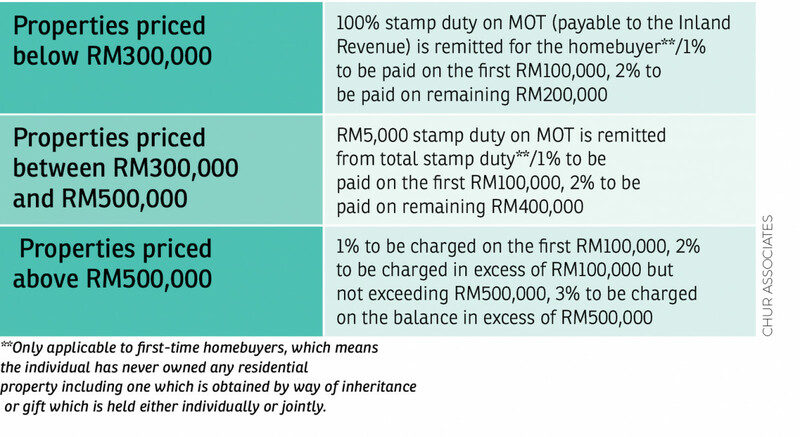 In Malaysia, stamp duty is a tax charged on a variety of different written instruments stated in the First Schedule of Stamp Duty Act 1949. The stamp duty for the MOT is payable under the Act,” says Chur Associates’ Tan. Before the stamp duty is paid, the lawyer will ensure that all the necessary responsibilities by the seller are fulfilled including his or her obligation to pay off current unsettled fees such as management fees, sewerage fees and so forth. Once all the outstanding debts are cleared, the lawyer will submit the MOT and relevant documents to the land office for registration. sets out the terms and conditions on which it is prepared to loan money to the borrower. There are two kinds of mortgage insurance available in the market — mortgage reducing term assurance (MRTA)/mortgage decreasing term assurance (MDTA) and mortgage level term assurance (MLTA). While it is not necessary to buy mortgage insurance, they offer peace of mind in the event of an illness, disability or death by helping to settle the outstanding home loan. 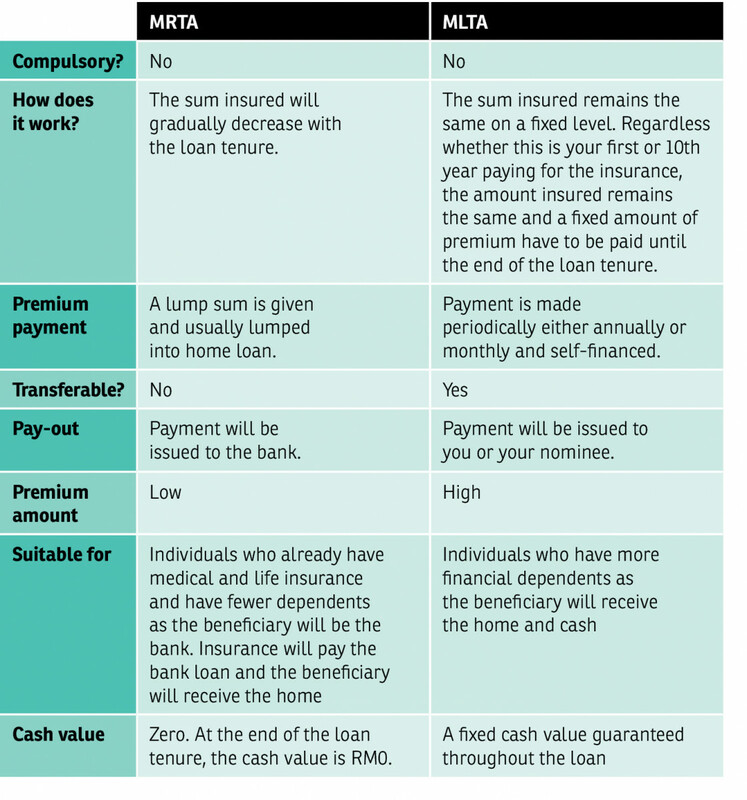 Some of the main differences between the MRTA and MLTA is that the former sees the sum insured reduced according to the loan tenure; is usually financed into the home loan; and comes in the form of a lump sum payment, while the latter sees the sum insured remain the same on a fixed value sum assured basis; is self-financed; and paid periodically. How much you pay for the insurance depends on factors such as the monthly mortgage you are paying, the loan tenure as well as your age. The MRTA would be suitable for those who are single and without family members depending on them as the beneficiary of the insurance will be the bank in the event of any tragedy. However, if you have many dependents, it would be best to opt for the MLTA as the pay-out would be to your beneficiary or to you directly. 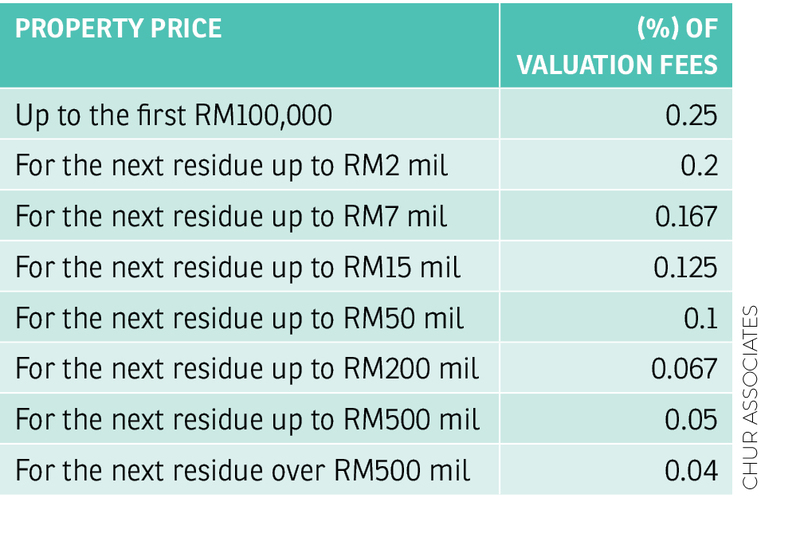 Valuation fees have to be paid if you are purchasing properties in the secondary market. A valuation company will be appointed to evaluate the market value of the property before the application for credit takes place. Ever wondered where all your waste goes after you flush? In Malaysia (except for Sabah, Sarawak, Kelantan and Johor), Indah Water Konsortium is responsible for operating and maintaining the underground sewerage pipelines as well as the treatment plants. For this service, houses that are connected to a public sewage treatment plant are billed RM8 a month while houses with individual septic tanks are billed RM6 per month. Perhaps you’d like to extend the kitchen or the bathroom. Some new homes do not come with kitchen cabinets and wardrobes, while others such as sub-sale properties come with older models that need an upgrade. On top of that, you may also want to consider getting furniture and fittings such as sofa sets, beds, dining furniture, fans and lights. Also commonly referred to as cukai pintu, this tax is collected by the local authority for the construction and maintenance of public infrastructure under its area of jurisdiction such as upgrading works, road repairs and cleaning services. The payment is made in two instalments annually between Jan 1 to Feb 28 and Jul 1 to Aug 31 every year. Generally, a 4% rate is imposed on the residential units’ annual rental value while a 10% rate is imposed on commercial units. Assessment rates are governed by the Local Government Act 1976 whereby the state authority is conferred the right to determine the tax. “The rate imposed is regulated differently from state to state. Under Section 140(1) of the Act, assessment of the annual rental shall be based on the returns of the area, situation, quality, use and rent thereof. The rate charged varies according to the properties’ classification (residential/commercial/industrial/land),” Tan clarifies. Also known as cukai tanah, this form of tax is paid once a year to the relevant land office by May 31 annually. The amount paid varies by state. In Kuala Lumpur, the quit rent is about RM0.35 psf per annum while in Petaling Jaya, the quit rent is about RM0.325 psf per annum. For strata-titled properties, the quit rent can be paid to the joint management body (JMB) or management corporation (MC), which will then be forwarded to the land office. If you live in a gated-and-guarded community or a strata property, you will need to pay a monthly maintenance fee to the JMB/MC. The fee covers maintenance of common areas such as gardens, gyms and pools which are not part of the owner’s parcel but for common usage. The maintenance fee is usually calculated on a per sq ft basis. Houses are also susceptible to dangers such as natural disasters, vandalism and theft. In Malaysia, there are generally three kinds of home insurance — the homeowners’ fire insurance policy which covers losses or damages caused by explosion from gas for domestic purposes, homeowners’ fire and lightning; insurance policy which covers loss and damage to fixtures, fences, walls and gates from events such as theft, flood and burst pipes and finally, the householders’ insurance policy which covers household contents including moveable possessions as well as fatal injury coverage on the person insured. As in life insurance, there is a wide range of premiums, which will depend on the value of the house, the kind of coverage you want, the type of home and so on. This story first appeared in EdgeProp.my pullout on Jan 12, 2018. Download EdgeProp.my pullout here for free.